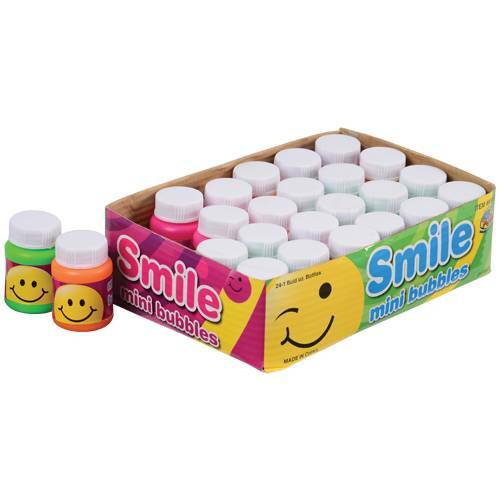 Everyone can join in the party with these smiley face themed mini bubbles. 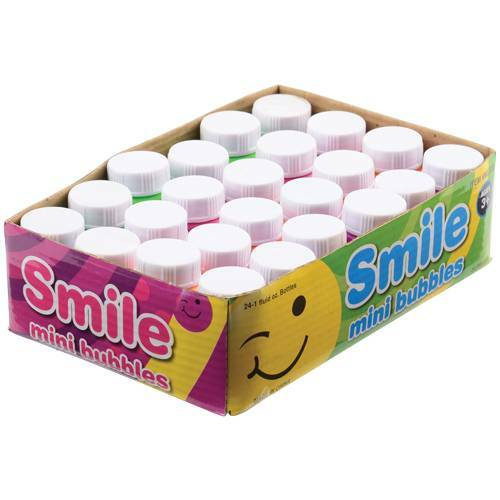 Bubbles add excitement to outdoor play, weddings, birthday parties, picnics, and much more! 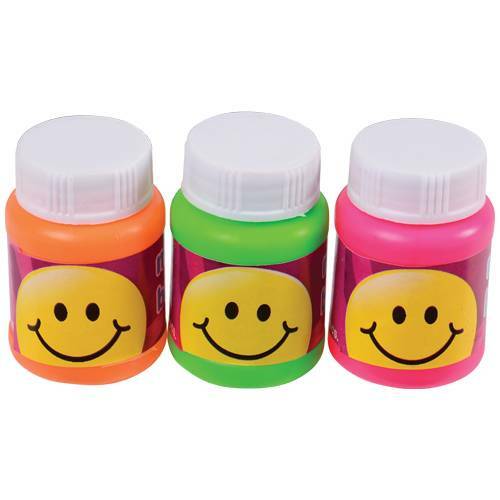 Add these bubbles to your pinata filler, goody bag filler, reward bucket, and more. 24 Pieces per unit.